Poland and Hungary have been awarded upcoming editions of the European Universities Games, it has been announced. The decision was taken at the European University Sports Association (EUSA) General Assembly in Madrid. Prior to the Assembly, bids were able to present their plans to EUSA members at a seminar. Polish city Łódź showed attempted to show the ability to host the Games in 2022, while a bid from the cities Debrecen and Miskolc was aimed at showing how important the event would be to Eastern Hungary. Their delegation claimed the two cities and their universities had great cooperation, with their proposal aimed at the Games in 2024. The Games were awarded to the two bids at the General Assembly, with the two editions set to follow Belgrade’s staging of the event in 2020. Serbia’s capital city presented a progress report on their preparations. Belgrade 2020 will be the fifth edition of the Games. Portuguese city Coimbra is due to host this year's Games from July 15 to 20. EUSA President Adam Roczek was among the presenters at the General Assembly attended by 37 member countries. International University Sports Federation (FISU) President Oleg Matytsin was also present. 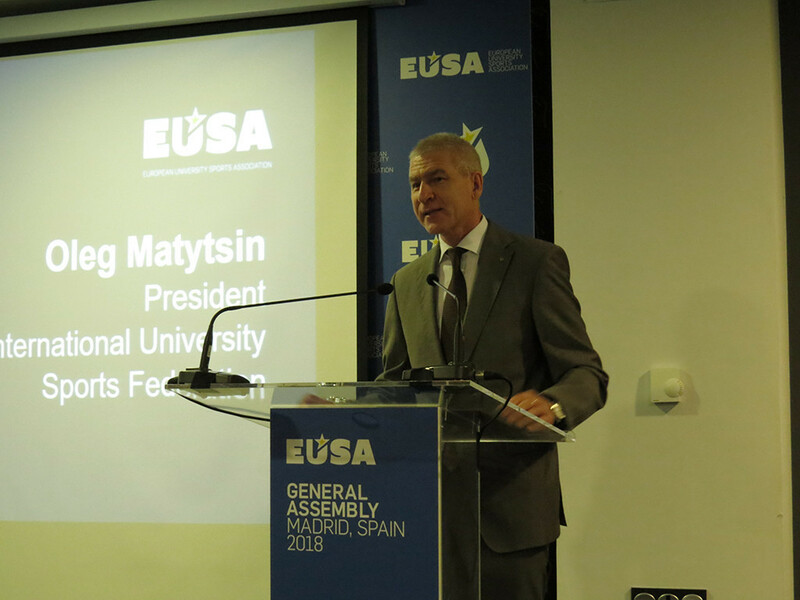 The Russian claimed the EUSA is an important partner for university sport development, with Matytsin then noting the importance of strategic dialogue between the organisations. A new EUSA strategy was also presented, having been drawn up by treasurer Lorenz Ursprung, along with Executive Committee members Aitor Canibe Sanchez and Bill Thompson. The strategy, also worked on by EUSA secretary general Matjaž Pecovnik, was claimed to have consulted the membership, honorary members, commissions and office staff. The outcome was presented to delegates, with EUSA stating the it has the vision and purpose of university sport and the pillars that will serve as a base for further growth. 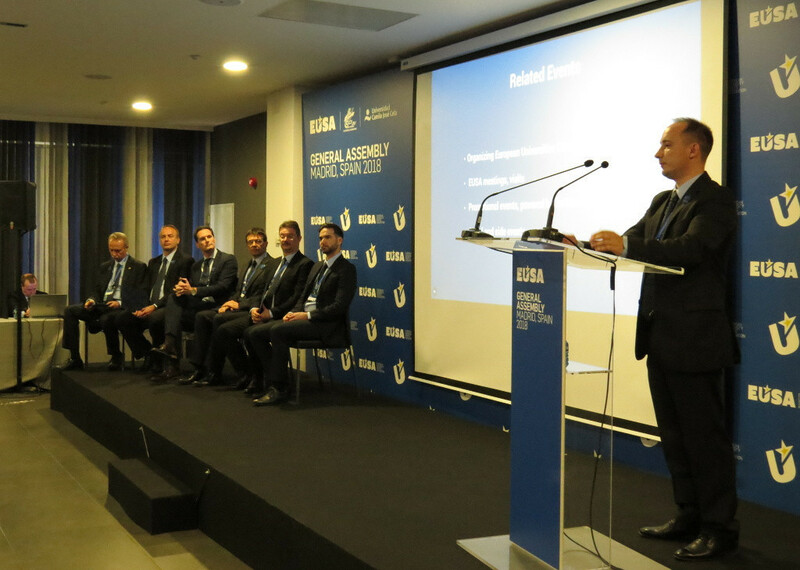 Kosovo University Sports Federation were approved as a member at the General Assembly, following their acceptance by FISU last year in Taipei. European Olympic Committees President Janez Kocijančič and the European Commission’s Agata Dziarnowska were among the guest speakers at the Assembly. Asian University Sport Federation President Yanqing Xue also addressed delegates.